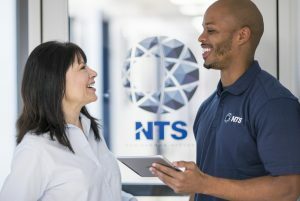 NTS electronics failure analysis capabilities can be utilized to improve yield, determine root cause of failure, extrapolate life expectancy and improve reliability, and increase performance on integrated circuits (ICs), printed circuit boards (PCBs), and passive surface mount devices as well as materials and assemblies. Electronics F/A can provide detailed information regarding the performance of materials and devices in their intended end-use application. When a device or material does not meet its performance expectations, a F/A should be performed to identify the root cause of failure. 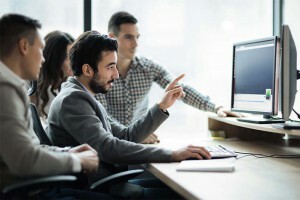 The information presented in the root cause F/A will allow the product designer, manager, test and process engineers, or end-user to identify design, selection, test, and process deficiencies. Recommendations for corrective actions from the failure analysis report can then be evaluated and implemented to enhance product reliability and performance. By having an unbiased F/A performed by an independent test laboratory, the liability of a failed device or material can be converted into an asset, resulting in production of higher quality products. Ball Shear and Die Shear: Ball shear testing uses a mechanically driven wedge to shear off solder balls off of BGA packages or solder bumps off of flip chip die. The ball shear results provide insight into the quality of solder to pad bond, that directly correlates to reliability and long term performance of the solder joint. Hi voiding content, improper reflow profiles, contamination/cleanliness issues, or improper plating of substrates/PCB’s can all lead to solder joint failures. Determining the shear strength of the solder joints is a qualitative method to determine the strength of the joint after reflow or assembly. Die Shear can be performed on a variety of packages including flip chips, direct attach die, or decapsulated plastic packages. Die shear can provide insight into the quality of the die attach bond to the backside of the die as well as the to the package, or to determine the mechanical strength of the flip chip bumps. Curve Trace: Curve Trace is commonly used to determine the IV curves of a device. LRC meters are used to determine the electrical performance of discreet’s. Decapsulation (De-Cap) – Jet-etch and acid: Decapsulation (De-Cap) – Jet-etch and acid decap: Decapsulation is the process of removing the mold compound from an integrated circuit or other plastic package to reveal the silicon die inside. The process typically does not affect the electrical performance of the device, but permits visual inspection of the die for failure analysis purposes or to inspect for anomalies such as EOS (electrical overstress), die cracking, pad cratering, reading die serialization, lot numbers, and date codes, or other information available on the die itself. Two common methods are used to decapsulate devices. The jet-etch process utilizes a machine that shoots a stream of heated acid upwards at the package, removing the mold compound. The process induces minimal heat into the package, and can be performed on devices such as BGAs that require the solder to remain intact. Acid etching is a process that utilizes a hot plate, and the part is heated to which acid is dropped. The heated acid removes the mold compound, opening the die to visual examination. Electrical Characterization: Electrical Characterization is the key means to characterize and validate the electrical performance of the devices under test, whether they be discreet surface mount devices, ICs, SOC, resistor networks, or assemblies. Electrical characterization can be used to isolate a particular anomaly within the assembly, allowing a failure analysis to be performed more accurately. Electrical characterization can be further enhanced to provide detailed performance data by applying a an external stress, such as temperature, vibration, or humidity. Microsectional Analysis (Cross-Section): Microsectional Analysis remains the most widely accepted means for analyzing the PCB/PWB plated through-hole integrity. A PCB is a combination of different types of materials such as glass, aramid fibers, kapton, copper, acrylic adhesive, epoxy, polyimide, Teflon, and solder. Each of these materials has a different relative hardness and, coupled with that of the mounting media such as epoxy or acrylic, makes the PCB microsection one of the most difficult to perform. Scanning Acoustic Microscopy (CSAM): Scanning Acoustic Microscopy, also known as C-SAM or Acoustic Micro Imaging or AMI, outstanding benefit is its ability to find hidden defects within assemblies and materials that can occur during manufacturing or environmental testing. Defects such as delaminations, voids and cracks can be identified and analyzed more effectively using Acoustic Microscopy than with any other inspection method. Solderability: The Solderability test method provides optional conditions for preconditioning and soldering for the purpose of assessing the solderability of device package terminations. It provides procedures for dip & look solderability testing of through hole, axial and surface mount devices and a surface mount process simulation test for surface mount packages.